War horses will be honoured on the anniversary of the Battle of the Somme on July 1 as riders across Britain are urged to go out and “Hack to Remember”. The initiative by international working equine charity Brooke is part of its year-long Every Horse Remembered campaign, which marks 100 years since the end of World War 1 and honours the heroic struggle and contributions of working horses, donkeys and mules of then and now. Riders are asked to remember the horses lost in the war — or special horses from their own past — and share your messages and pictures on social media using the hashtag #HackToRemember, or join the special event page on Facebook. 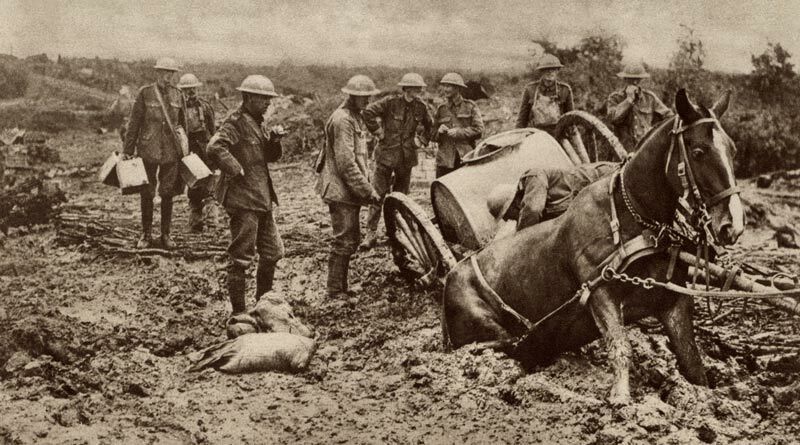 Some eight million working equines lost their lives during WW1, not only from fierce shellfire and gas attacks but also from the extreme conditions they had to endure. Unfortunately, these tough conditions are still a reality for many horses, donkeys and mules today, with more than 100 million equines working in punishing environments such as brick kilns and coal mines. Brooke’s target for the year is to mark the millions of lives lost and the millions who need help by raising £1 million to reach more vulnerable working horses, donkeys and mules, and the families who depend on them. Hack to Remember Day coincides with Brooke’s My Hackathon challenge, which has attracted support from equestrians including Harry Meade, Charlotte Dujardin and Gemma Tattersall. Riders are challenged to hack 100 miles in 100 days and raise £100 to improve the lives of working horses, donkeys and mules. Brooke estimates that it costs just £4.50 to reach one animal through their work overseas, which means that with a fundraising target of £100, each rider will be helping a horse like theirs with every 4.5 miles they hack. ← Could a blood thinner reduce the dangerous risks of EHV-1 infection in horses?